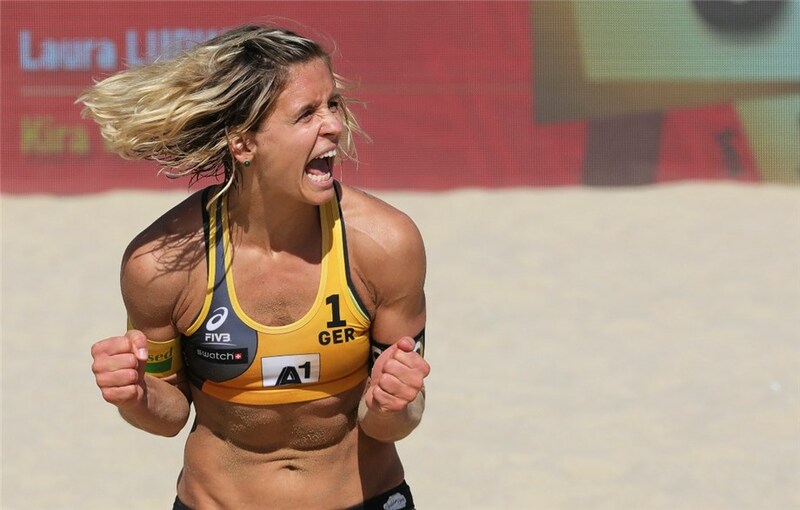 Hamburg, Germany, April 11, 2019 – For the second time in the history of the FIVB Beach Volleyball World Championships, Germany will be the host country for the prestigious event at Hamburg’s 13,200-seat Am Rothenbaum Stadium and you can get all the latest information from fivb.com’s pages dedicated to the event. 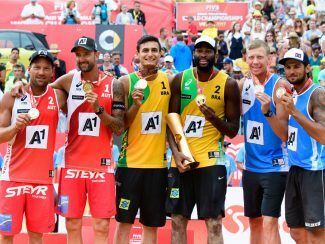 With US$1-million in prize money, the 12th edition of the FIVB Beach Volleyball World Championships will begin on June 28 with pool play for the 48 pairs in each gender’s competition where 12 groups of four teams each will determine the field for the elimination rounds that start on July 3 for women and July 4 for men. The women’s quarter and semifinal matches will be played on July 5 with the medal matches scheduled for July 6. The men’s quarter and semifinals will be played on July 6 with the podium placement determined on July 7. In addition to winning the $60,000 first-place prizes and gathering 1,600 FIVB World Tour points, the winning men’s and women’s teams will net their countries the first two berths at the Tokyo 2020 Olympic Games. The FIVB Beach Volleyball World Championships began in 1997 when Los Angeles hosted the first recognized event in September at the tennis center on the campus of the University of California at Los Angeles. The FIVB Beach Volleyball World Championships is a double-gender tournament and is held every two years with other World Championships staged in Austria (Klagenfurt 2001 and Vienna 2017), Brazil (Rio de Janeiro 2003), France (Marseille 1999), Germany (Berlin 2005), Italy (Room 2011), Netherlands (The Hague 2015), Norway (Stavanger 2009), Poland (Stare Jablonki 2013) and Switzerland (Gstaad 2007). The FIVB World Championships is one of the highest-regarded international beach volleyball events alongside the competition at the Summer Olympic Games that was initiated in 1996 at Atlanta and the FIVB World Tour Finals launched in 2015 in the United States at Fort Lauderdale, followed by events in Canada (Toronto 2016) and Germany (Hamburg 2017 and 2018). Starting with the 2015 FIVB Beach Volleyball World Championships in the Netherlands, the gold medal teams automatically qualify their country for a spot in next year’s Olympic Games. The FIVB World Championships features the largest field at any FIVB-sanctioned beach volleyball event with 48 teams competing in each gender’s tournament that consists of pool play and a bracketed single-elimination phase. The prize money at the FIVB World Championships is the largest in the sport at US$500,000 per gender for a $1-million purse. The $1-million payoff at the FIVB World Championships started in 2005 at Berlin. The 1997 FIVB World Championships featured a purse of $300,000 per gender. Since 1997, a total of 67 countries have had players compete in the FIVB World Championships with 543 men and 510 women entries. 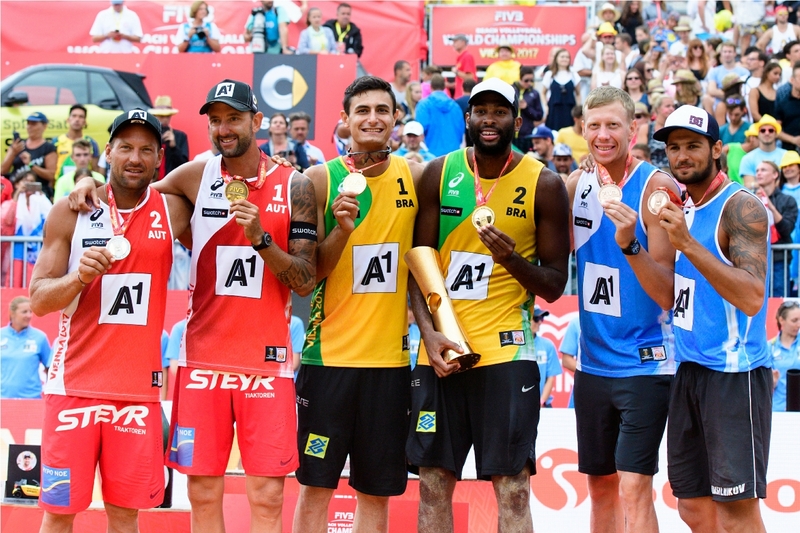 A total of 12 countries have placed on FIVB World Championship podiums and six countries have captured gold medals – Brazil (12 total, 7 men, 5 women), the United States (5, 1, 4), Germany (2, 1, 1), Argentina (1, 1, 0), China (1, 0, 1), the Netherlands (1, 1, 0).